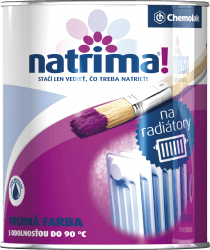 is a silky matt waterborne top coat for radiators and other heating pipes with temperature resistance up to + 90 °C. It is characterized by high whiteness, minimal thermal resistance and improved resistance to yellowing. It contains anticorrosive substances and dries fast.